When I was looking through my 2017 reading statistics I found that there were quite a few books I had never actually reviewed. I didn’t want to do full reviews on some of those books because I read them quite a while ago and they’re not uncommonly talked about books. I did still want to give my thoughts on them, hence the mini review. Mariko is intelligent but restricted due to gender roles in her society. While travelling to meet her betrothed she is intercepted, and becomes the lone survivor of the attack. Instead of racing off to get help Mariko decides to take matters into her own hands and infiltrate the attackers to teach them a lesson. This book is set in a pseudo Japanese society with a magic system that is never really explained or constrained by any rules. I can understand why someone called it a Mulan retelling because it shares some common themes. The cover is beautiful. A competition to be the royal enchanter that the looser pays with their life set in historical Russia. Hidden identities, grand displays of magic, and lots of food. They’re trying to kill each other, but they’re also the only people in the country who can understand each other. What do you do after the heist? Well just because the heist is finished, doesn’t mean justice has been served. There are rival crime lords still at large, money to be obtained and spent, and missing individuals to be dealt with. 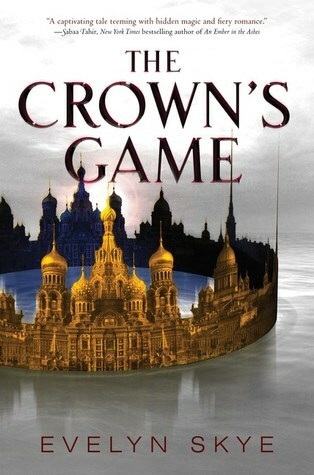 If you’ve read this first book in this duology all you need to know is that this book continues in the amazing tales of our favorite crime gang, and there are also a few recurring faces from Leigh Bardugo’s Grisha series. The characters felt a lot more vulnerable in this book, and they struggled with some flaws that made me only love them more. We got to see more of the pasts of the other characters! what did you think of these three books? do you share my opinion or not? That’s great to hear! I hope you really enjoy it. I felt the same exact way about Crooked Kingdom and YESSS about the spoilery bit I would’ve liked it more if it happened the way you said it was just so sudden. 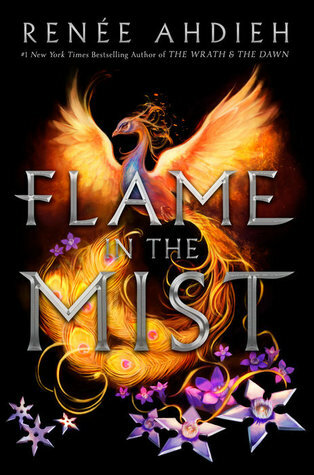 I’ve put Flame in the Mist down and I honestly don’t know if i’ll ever pick it up again…i just got so bored nothing is happening. It was so sudden!! Flame in the Mist had a few good moments but a lot of it dragged on. I don’t think you’re missing out on much. I was in the same boat for ages! 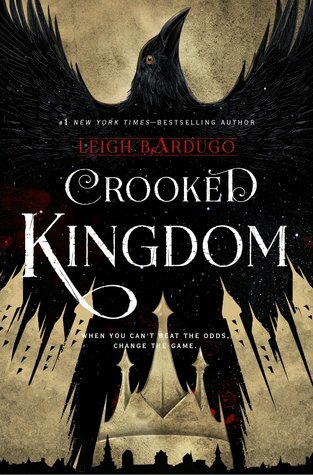 It seemed like everyone was raving about Crooked Kingdom and I hadn’t read Six of Crows yet. One of my friends pushed me into it, and I’m glad she did because I loved it! Hopefully you get to it soon.